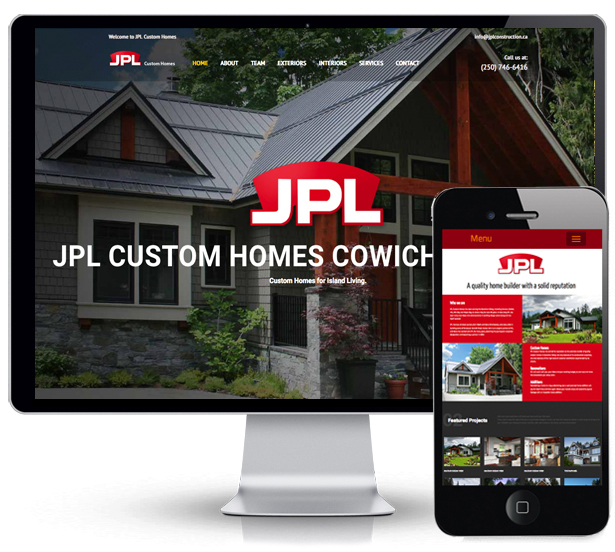 Vancouver Island custom home builder JBL Custom Homes needed to raise their profile by demonstrating the quality of the product and skill of craftsmanship they offer through a new branded website. We customized a responsive Wordpress theme that best showcased their custom home projects and services. "At JBL Homes we build custom homes that reflect a level of quality that is reflected in our new website developed by Reddingstone Brand & Design. We are elated with the results of the new design!"